Hey there! It's Lynnea. Even though I never stop listening to Christmas music, now that Halloween is over it is widely accepted that it's okay to talk about all things Christmas! Hooray! 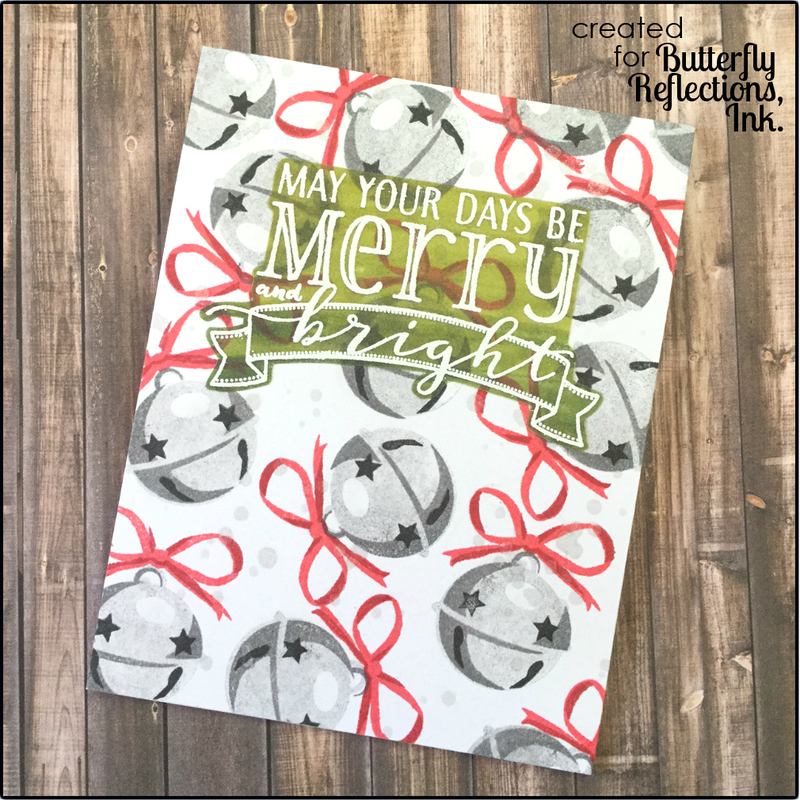 I'm using some sets from Altenew and WPlus9 to make a basic (almost) one layer Christmas card. Here we go! I started out with the gorgeous Bells and Bows stamp set from Altenew. I used second generation stamping and some ink from Memento to build up the layers on my bells and the bows on top. Don't they look so real!? I can't believe it! I covered them with glitter using a Spectrum Noir clear shimmer pen. It wouldn't be my card without some ink spatters! I used some silver paint to fill in the empty spaces in my background. 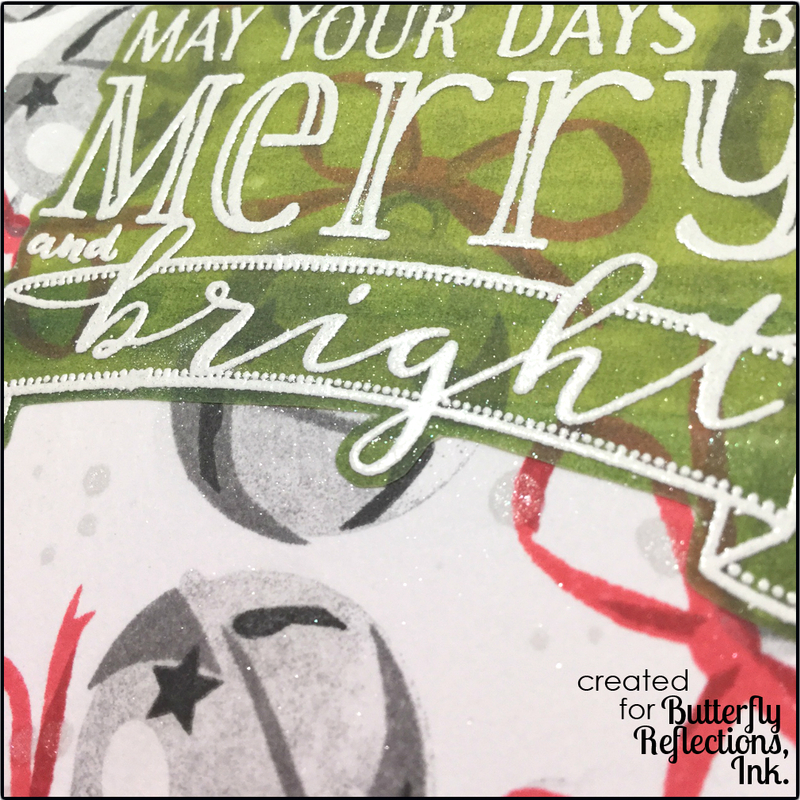 I embossed my sentiment from the WPlus9 Be Merry stamp set using some white embossing powder from Hero Arts onto vellum. 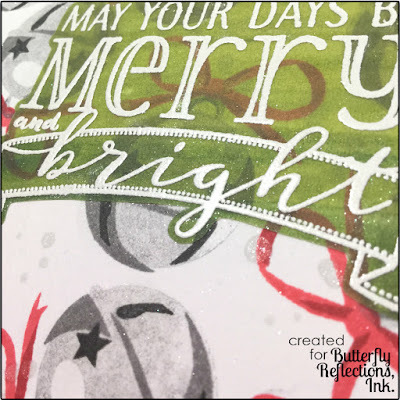 After I heat set the sentiment, I flipped the vellum over to the back side and used a few colors of Copic markers to give the vellum a green tint. I let it sit to dry a while and then used scissors to trim around my sentiment. I used adhesive spray to stick the vellum to my card front so there was no need to fiddle with hiding glue. I love the way you can see right through the sentiment! That's it for today. 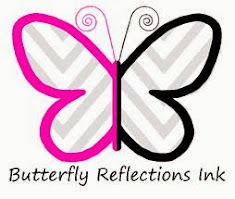 Remember that you can find these items and more in the Butterfly Reflections, Ink Shop! I'll be back again next week!